Promote and teach square dancing in all its heritage forms. 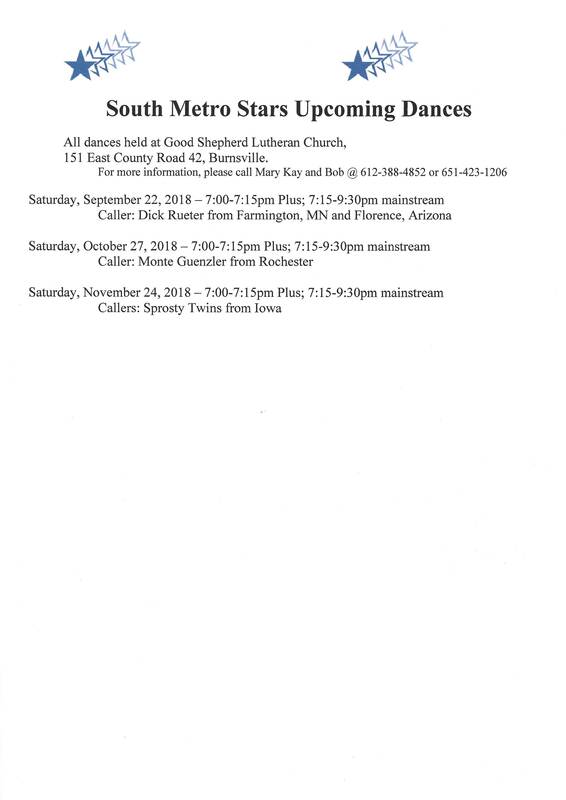 Square Dance (Callers Doug and Don Sprosty – “Plus” 7:00-7:15 pm and tip midway thru dance, “Mainstream” 7:15-9:30 pm), potluck, youth free, casual attire. South Metro Stars Flier!